Why you need to buy an Alfa 4c now! We love the Alfa Romeo 4c. It’s in the top 5 cars we’ve driven in the last ten years. It looks amazing, drives like a true sports car should, has the Alfa Romeo badge and has a carbon chassis to boot. So why hasn’t it been a huge success? Alfa Romeo have just announced the 4C Spider Italia as a limited run of just fifteen 4C Spiders heading for the USA only. The spider Italia is, to be honest, a fairly poor attempt at a special edition. Apart from the Italia badge, you only really get a Misano Blue paint job, a black front air intake and rear diffuser and some 4C Spider Italia badges. And that’s about it. So, its not the special edition that makes us think its time to buy, its the fact that they are likely to stop being built soon. 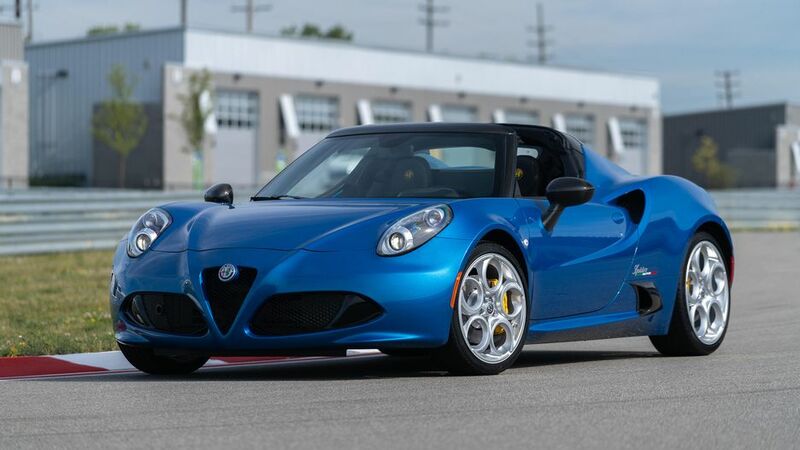 Alfa has already stopped producing the 4C Coupe and it looks likely the 4C Spider will go the same way. And with so few built, this is a sure fire classic car in the making, invest in one now, enjoy and watch it appreciate.